Established in 1982, Starlight Children’s Foundation is a nonprofit organization that creates moments of comfort and joy for hospitalized kids and their families in the US, Canada, Australia, and the UK. In the U.S., they partner with over 700 hospitals, specialty clinics and camps, and respite houses and hospices, where they help kids through a range of efforts like creating Starlight Fun Centers (rooms with a TV, Wii, and other entertainment), or providing “Brave Gowns” (high-quality hospital gowns with superhero motif), and Star Visits, where celebrities visit kids. 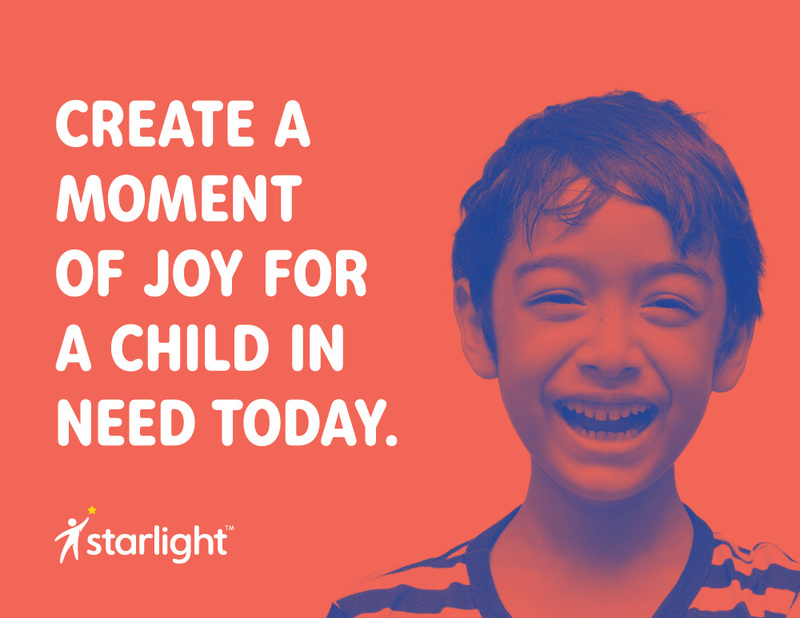 Over the years, Starlight’s programs have positively impacted more than 60 million children. Earlier this year, the U.S. side of the foundation introduced a new identity designed by Charlottesville, VA-based Convoy. The old logo had the visual naiveté some nonprofits tend to have. The overly flourished font is hard to take seriously and the kid figure — although graphically matching the font — was kind of weird with the kid’s arms being very thin in order to “connect” with the “l”. The new logo is a simplified, more ambiguous version of the original. The more realistic kid has been replaced by an abstract human sprite that is kinda charming in its soft, almost Play-Doh-ish construction. Like all sprite human figures, though, there is still something disconcerting about it. Too faceless and shapeless. 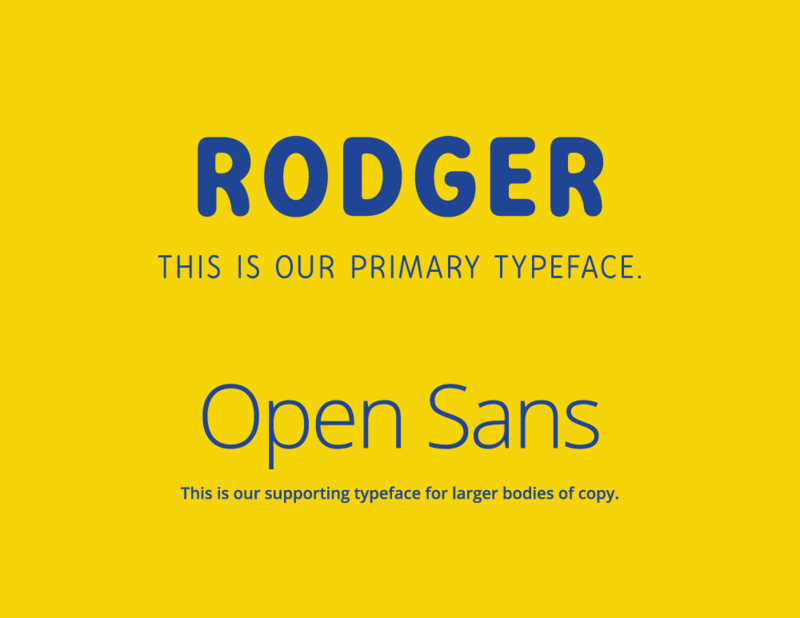 The wordmark is typeset in Rodger, which, in lowercase and the regular weight, makes the logo look a little generic. The black weight and/or uppercase is far more interesting and would have given the logo more personality. However, I do like the contrast of the logo with the headline type in the applications below. The main reason I wanted to highlight this project are the two ad/poster/things that show the potential of this identity. There is a great balance achieved in the duotone photographs of kids, the simple uppercase headlines, and the endorsing logo at the bottom. Simple, un-fuzzy, and not over-complicated. I wish their social media was full of this kind of stuff to establish a clear identity or even that their website followed suit but unfortunately, that more nuanced look is nowhere to be seen. Overall, a solid improvement in the logo but the rollout needed probably more commitment from the client or its design/web partners to bring it to its full potential. 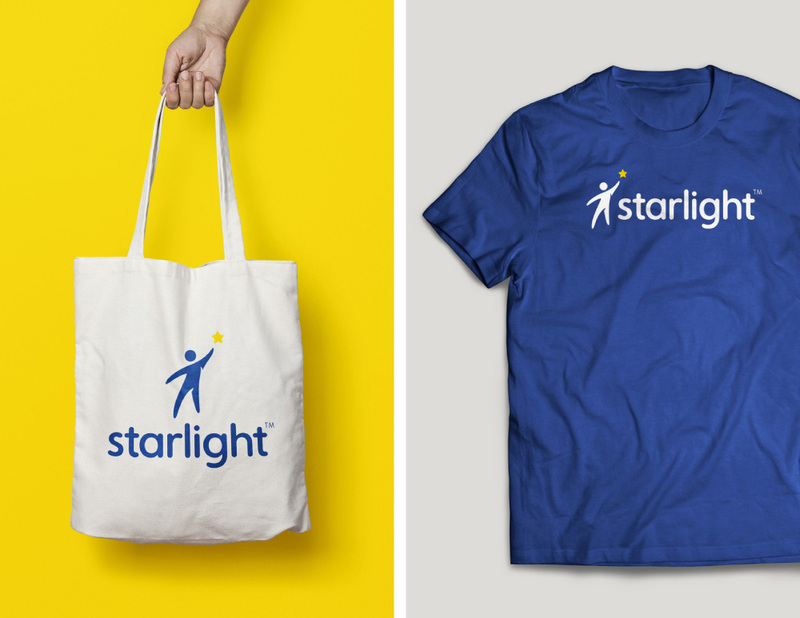 Established in 1982, Starlight Children's Foundation is a nonprofit organization that creates moments of comfort and joy for hospitalized kids and their families in the US, Canada, Australia, and the UK. In the U.S., they partner with over 700 hospitals, specialty clinics and camps, and respite houses and hospices, where they help kids through a range of efforts like creating Starlight Fun Centers (rooms with a TV, Wii, and other entertainment), or providing \"Brave Gowns\" (high-quality hospital gowns with superhero motif), and Star Visits, where celebrities visit kids. 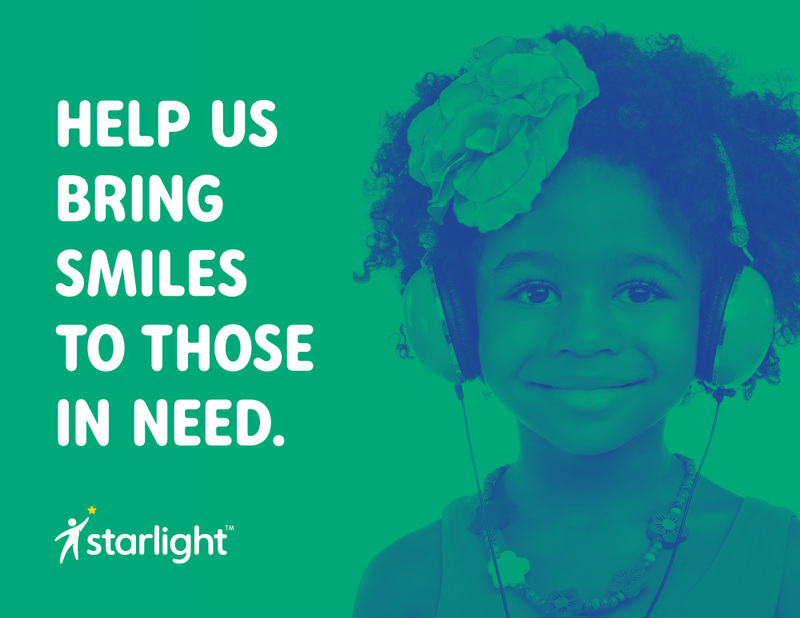 Over the years, Starlight's programs have positively impacted more than 60 million children. Earlier this year, the U.S. side of the foundation introduced a new identity designed by Charlottesville, VA-based Convoy.